The authority of the Pope is not unlimited; it is at the service of the Sacred Tradition. JOSEPH RATZINGER, The Spirit of the Liturgy, page 162. 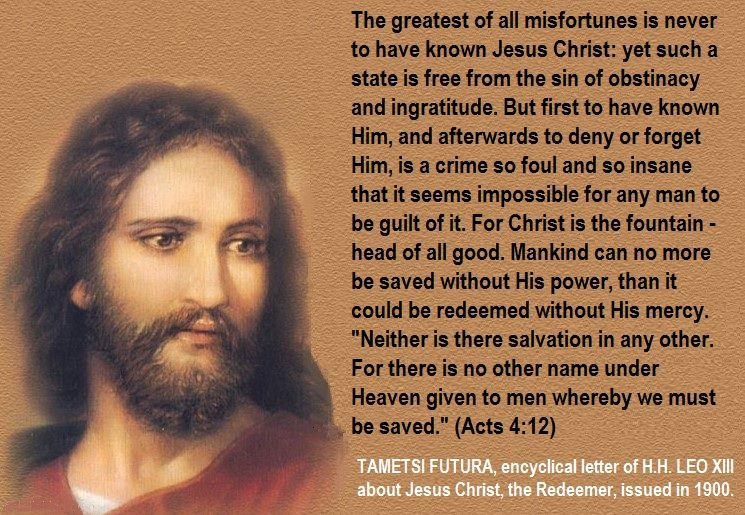 “To us, Christ is the Way, for we can never reach God, the supreme and ultimate good, by this toilsome and doubtful road of mortal life, except with Christ as our leader and guide.” “No man cometh to the Father, but by me.” [John 14:6] Encyclical Letter TAMETSI FUTURA of Leo XIII. We have waited a few days to analyze the first video of Pope Francis, which has been highly controversial worldwide. Since we do not intend to deliver the news before anyone else, but to analyze the events in a calm manner and based on all the elements available, this waiting has been deliberate, given the possibility of an explanation or rectification on the part of the Holy See. However, this has not happened. As of January 2016, the monthly prayer intentions of the Pope will be delivered through a video as part of a campaign entitled “The Video of the Pope”. This project stems from the Global Prayer Network, and the corresponding video for the month of January is called “interreligious dialogue”. Two friends of the Pope are involved in the video; the rabbi Daniel Goldman and the Islamic leader Omar Abboud, together with a Catholic priest, Guillermo Marcó and a Buddhist lama, Rinchen Kandro. The video begins like this: “Most of the planet’s inhabitants declare themselves believers. This should lead to dialogue among religions. We should not stop praying for it and collaborating with those who think differently”, states the pontiff, who appears speaking in Spanish. “I have confidence in the Buddha”, “I believe in God”, “I believe in Jesus Christ”, “I believe in God, Allah”, says one after the other. “Many think differently, feel differently, seeking God or MEETING GOD in different ways. In this crowd, in this range of religions there is only one certainty we have for all: we are all children of God”, adds Francis. 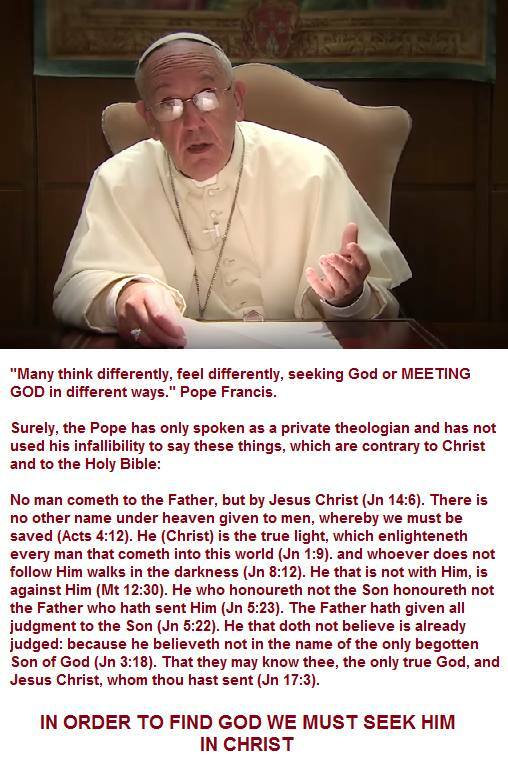 Some might say: “The Pope is the Vicar of Christ, he is infallible and cannot ever err, therefore, what he says in this video is beyond dispute.” Surely, there are some unenlightened Catholics who ignore that the infallibility of the Pope requires certain conditions in its own magisterium; that is to say, these conditions are necessary for this magisterium to be infallible. Hence, the acts or dispositions of a PASTORAL nature (as it is the case of this video) are not doctrinal definitions and they are not entitled to the privilege of the infallibility, as opposed to the teachings on faith and morals, which are infallible provided they comply with all the conditions demanded by the Church. Nevertheless, this does not mean that pastoral matters should not be obeyed and respected (in most cases). We must respect and obey the Pope, to whom we owe a filial obedience, regardless of the infallibility. This is so true, that a Pope can be resisted, as Saint Paul did with Saint Peter when the latter, as narrated in the Holy Scripture, agreed, due to human prudence, with the Judaizers (i.e. those who advocated for keeping the Jewish law). This act contradicted what had been established by the Council of Jerusalem. It was against the doctrine defined by the Church (included Saint Peter as Pope and head of the Council). Saint Paul, who was Saint Peter’s subordinate and acted as such, withstood him to the face for not following the way and truth of the Gospel. 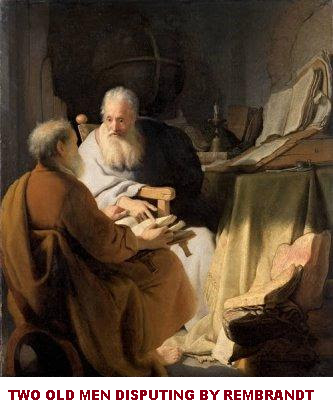 Saint Peter admitted his mistake and agreed with Saint Paul, acting with great humility and accepting that an inferior could not only depart from an erred action of his superior but even rebuke him; that is to say, to refute his error out of love for the truth of the Gospel. It should be noted that Saint Peter’s mistake was grave and public. About this incident, Saint Thomas points out that Saint Paul’s confrontation was in regard to THE EXERCISE and not the authority of the power, and that Saint Peter was reprehensible due to his dissimulation and disordered fear, which led him to abandon the truth and follow the deceit of the faithful. He does not consider the cause of the rebuke to be something minor, but rather fair and convenient. Had this not been done, the knowledge of the truth of the Gospel would have been in danger, and this truth would have perished if Gentiles had been forced to keep the legal precepts of the Jewish law. Saint Thomas also notes that Saint Peter’s dissimulation constituted a danger to everyone and for that reason it was convenient for Saint Paul’s rebuke to be public and manifest. This biblical passage proves that it is possible to differ publicly from a Pope, whenever it is considered that he is not acting in accordance with the truth of the gospel, provided it is done with charity and always demonstrating subjection to his legitimate authority and acting as subordinates. There were other incidents similar to that of Saint Paul and Saint Peter. Just to name a few: Saint Sophronius and Pope Honorius I and Saint Athanasius and Pope Liberius. But let us return to the video of Pope Francis. There is certainly one fatal error in it, in our view the most significant, in pointing out that God can be found through false religions (let us remember that the Pope said: “Many think differently, feel differently, seeking God or MEETING GOD in different ways.) In these false religions the Triune God is not recognized. 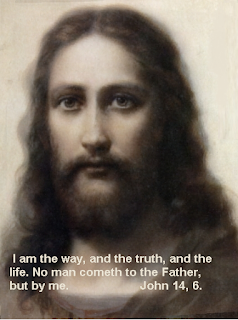 The Holy Bible says: “Who is a liar, but he who denieth that Jesus is the Christ? This is Antichrist, who denieth the Father, and the Son. Whosoever denieth the Son, the same hath not the Father. He that confesseth the Son, hath the Father also. As for you, let that which you have heard from the beginning, abide in you. If that abide in you, which you have heard from the beginning, you shall also abide in the Son, and in the Father. And this is the promise which he hath promised us, life everlasting.” (1Jn 2: 22-25) It also teaches us that: “All the gods of the Gentiles are devils: but the Lord made the Heavens.” (Psalms 95:5). This is so true that: “There is no salvation in any other. For there is no other name under Heaven given to men, whereby we must be saved” (Acts 4:12) Furthermore, supernatural filiation is obtained through Baptism: “That is to say, not they that are the children of the flesh, are the children of God; but they, that are the children of the promise, are accounted for the seed” (Romans 9:8). “But as many as received him, he gave them power to be made the sons of God, to them that believe in His name.” (John 1:12). Therefore in order to find God we must seek Him in Christ, because “all the gods of the Gentiles are devils.” (Psalms 95:5). “But the things which the heathens sacrifice, they sacrifice to devils and not to God. And I would not that you should be made partakers with devils. You cannot drink the chalice of the Lord, and the chalice of the devils: you cannot be partakers of the table of the Lord, and of the table of Devils.” (1 Corinthians 10:20-21) “For it is written, The Lord thy God shalt thou adore, and him only shalt thou serve.” (Matthew 4:10). The video continues with each one of the participants of the diverse faiths saying that they “believe in love”, and it ends showing to the camera four objects, first individually and then all of them at once, these objects are: a Buddha, a menorah, a Baby Jesus (instead of a crucifix, which is the symbol of Catholicism, why is that? So as not to annoy Protestants? ), and a tasbih (Muslim “rosary”), while the voice in off of Francis points out “I hope you will spread my prayer request this month: That sincere dialogue among men and women of different faiths may produce the fruits of peace and justice. I have confidence in your prayers.” The symbols of false religions put on par with the image of Christ, without a cross, the image of the Child-God! You see the Trinity, if you see charity, wrote Saint Augustine. Therefore, if you do not see it, that is, if you do not believe in the Holy Trinity, you do not believe in true Love either. Maybe you believe in some sort of fraternity or human philanthropy, but not in the real Love. Should we use dialogue only to achieve peace and justice as the world gives them? Or should we use it to convert those who are mistaken to the true Faith? CONVERSION of Jews, Muslims and Pagans; and Return of heretics and schismatics. This is our lifelong Faith; the Faith of the Apostles; the Faith we are proud to profess. 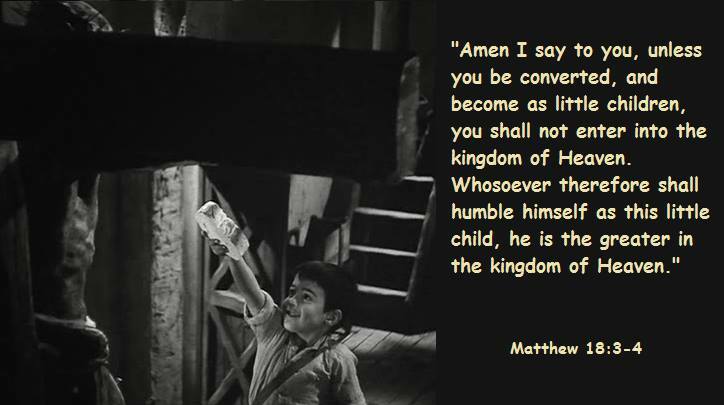 Holy Father: As your children, we are following your advice. “The truth is one, and it cannot be halved; it lasts forever, and is not subject to the vicissitudes of the times. ‘Jesus Christ, today and yesterday, and the same for ever’.” (Heb 13: 8) Saint Pius X, Encyclical “Iucunda Sane”. Source of information: Blog CATOLICIDAD http://www.catolicidad.com/2016/01/el-primer-video-del-papa_14.html Translated from Spanish by: Fabiola Lozano. You can reproduce this post provided you quote this site. 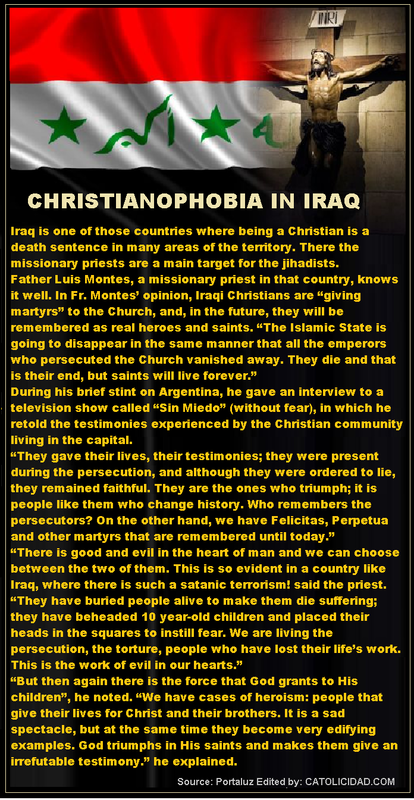 Source of information: Blog CATOLICIDAD http://www.catolicidad.com/2014/10/cristianofobia-en-irak.html. Translated from Spanish by: Fabiola Lozano. Source of information: Blog CATOLICIDAD http://www.catolicidad.com/2016/01/el-genero-humano-creado-redimido-y.html. Translated from Spanish by: Fabiola Lozano. Confession is the easiest sacrament for us to receive, it is available to everyone and it does not require difficult conditions. Therefore, anyone willing to make a good Confession will always achieve their objective. Hence, those who are greatly afraid of making a bad Confession tend to make the best ones, due to this very fear. 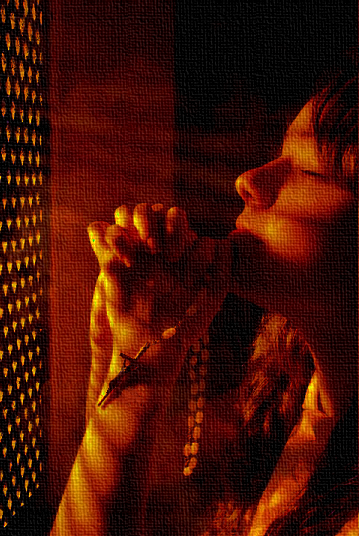 Disciple: Should we pray before we go to Confession? 1) Revive the faith in this sacrament, which is the principal means of salvation. 2) Greatly thank Jesus, who wanted to give us such a great gift, at the expense of His passion and death. 3) Entrust ourselves to Our Blessed Mother, who is Refuge of sinners, to our Guardian Angel and to the souls in purgatory; once we have done this we should examine our consciences. D.- Oh, Father, it is at this point where my worries start. I am not capable of making a good examination of conscience… either I cannot remember my sins or I forget them when I am in front of the confessor. M.- Slow down, my friend, slow down, let us not muddy the waters with an excessive zeal. Fear will never help us to achieve anything; however, if we try to proceed with calm and trust in God, we will certainly get what we want. Let us do our part and God will take care of the rest. Normally, the less satisfied we are, the more satisfied He is. 2) Goes to Confession very occasionally. 3) Has not made a good Confession in a long time. These persons must confess their grave sins along with the circumstances that modify the type of sin, also the number of times they committed each, and, of course, they have to examine their conscience seriously and carefully in advance. D.- What do we have to do to make a good examination of conscience? M.- In order to examine thoroughly our consciences we have to consider one by one the Commandments of God and of the Church, together with one’s duties of state; examining if we have failed, and how many times, in thoughts, words, deeds or omissions, taking into account our ruling passion and the cause of our most ordinary faults. In the First Commandment, we should examine if we have sinned against faith in any of the truths of our sacrosanct religion; if we have uttered or heard words; read books, journals or newspapers contrary to religion; if we have committed sacrileges, either by making bad Confessions or by receiving Communion sacrilegiously, or by showing contempt towards sacred persons or things; if we have engaged in superstitious practices or taken part in spiritualist acts. In the Second Commandment, we should examine if we have blasphemed the Holy Name of God, the Blessed Virgin Mary, the saints or sacred things, and if we have taken false or unlawful oaths. In the Third Commandment, we should examine if we have attended Mass properly on Sundays and Holy Days of Obligation; if we have not listened to the sermons on purpose or have not attended catechism lessons; if we have engaged in servile works or if we have profaned the festivals engaging in illicit or dangerous distractions, this is to say, indulging in dissipation, or spending the day in taverns, clubs or dangerous places. In the Fourth Commandment, we should examine if we have been disrespectful towards our parents or superiors, by word or by deed, if we have insulted them; if we have hit them or made them cry due to our bad behavior. In the Fifth Commandment, we should examine if we have wounded somebody seriously; if we have sworn vengeance; if we have uttered imprecations or curses; if we have given scandal, that is to say, if we have induced other people to sin with our words or deeds. In the Sixth and Ninth Commandments, we should examine if we have had thoughts or actions contrary to chastity, and if we have willfully entertained in them instead of discarding them immediately; if we have had or listened to impure conversations or if we have read immodest books; if we have committed impure actions alone or with others and if so, the nature, gender and status of those involved in such acts, since these circumstances modify the malice of the sin; if we commit them occasionally or if they have become a habit; and if we have frequented immodest places of dance or shows. In the Seventh and Tenth Commandment, we should examine if we have stolen money or things of significant value, either from homes or from other people; if we have wronged our neighbor in their property; if we have desired in thought to take what is not ours. In the Eighth Commandment, we should examine if we have told serious or harmful lies about our neighbor; if we have slandered or libeled someone; or if we have harmed others by telling lies against their honor or good name. Moving on now to the Commandments of the Church, it is sufficient to examine if we have eaten meat on forbidden days and if we have not fasted, in case we are obliged to do it, or if we have not confessed our sins and received Holy Communion once a year during prescribed time. We should add to the previous examination something related to vices and deadly sins, examining if we have committed serious sins of pride, gluttony, wrath and envy. Finally, we should take a look at our obligations related to our duty of state. D.- Should we also examine ourselves about the obligations of our duty of state? D.- Father, is it possible for everyone to make a perfect and diligent examination? M.- If we do not succeed in making such an examination, it will suffice if we go to the confessor, willing to tell him everything we remember and to answer honestly the questions he asks us. D.- But what happens if the confessor does not ask us and we forget to tell him some mortal sins? M.- All sins, even mortal sins that we unintentionally forget, are forgiven together with the ones that we do confess, remaining only the obligation to confess them, if we remember them, in the next Confession we make. D.- Do we also have to examine our thoughts and desires? M.- Yes, of course, because thoughts and desires, if impure or evil, are also sins. One time a candid child said to his mother: If what you have told me that nothing gets lost in the world is true, then where do thoughts and desires go? - Son, said the mother, seriously, those deposit in the mind of God and remain there forever. - Forever!, exclaimed the child, shocked. If our thoughts are good, why would we be scared? But if certain thoughts make us feel afraid, it is a clear sign that we should examine them and abhor them. D- Are bad thoughts always sins? If a spark of fire falls on a white cloth but we remove it immediately it does not leave a stain. If we leave it there for a brief instant, it will leave a blackened smear. However, if we leave it there to see what happens, it will burn the cloth completely. The same happens with bad thoughts, if we discard them immediately, they do not cause any harm at all, if we entertain for an instant in them, they become venial sins, and if we indulge in them with full knowledge and consent, they become mortal sins. D.- Who is not obliged to make a thorough (deep) examination of conscience? M.- Timorous souls, who in addition confess frequently, are in no way obliged to make a thorough examination, the reason being that either they do not commit mortal sins, or having committed one they do not forget it easily (since they are recent sins. If they remember all of them, then it will not be necessary a deep examination). D.- Now, Father, tell me, are those who anguish and agitate because they cannot find any sins at all acting wrong? M.-Most probably yes. What is so wonderful about not finding any sins because they do not commit them? They should thank God and carry on without committing them with the powerful aid of the sacraments… sins, if not committed, cannot be found. 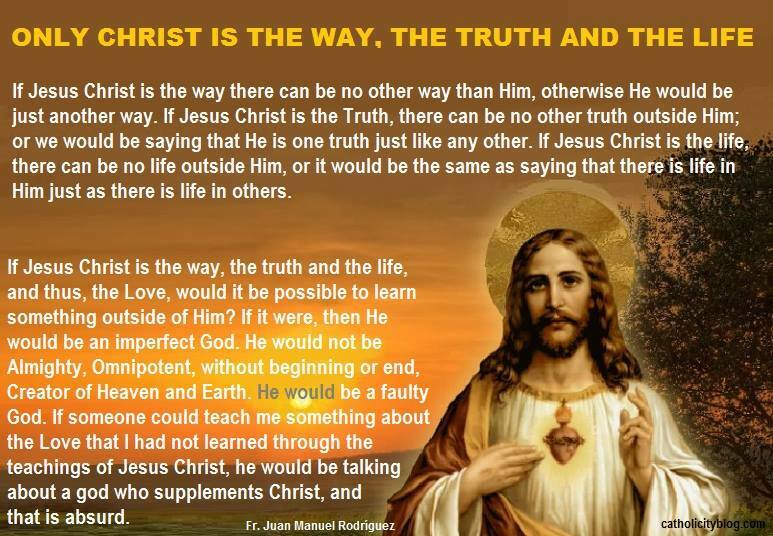 Source of information: Blog CATOLICIDAD http://www.catolicidad.com/2016/01/modo-practico-de-confesarse-el-examen.html Translated from Spanish by: Fabiola Lozano. Source of information: Blog CATOLICIDAD http://www.catolicidad.com/2016/01/para-salir-de-la-terrible-tibieza.html. Translated from Spanish by: Fabiola Lozano. Source of information: Blog CATOLICIDAD http://www.catolicidad.com/2016/01/consagracion-al-castisimo-corazon-de.html. Translated from Spanish by: Fabiola Lozano. What does this devotion consist of? It consists of praying the Hail Mary to Our Lady, the Blessed Virgin Mary, for the purpose of either honoring her or obtaining a favor through her intercession. What is the purpose of this devotion? 1. The power she received from the Eternal Father due to being His favored daughter. 2. The wisdom bestowed upon her by God the Son in choosing her as His mother. 3. The mercy with which the Holy Ghost fulfilled her in choosing her to be the Immaculate Conception. Hence the number of Hail Marys to be prayed is three. "By thy Immaculate Conception, O Mary, make my body pure and my soul holy." 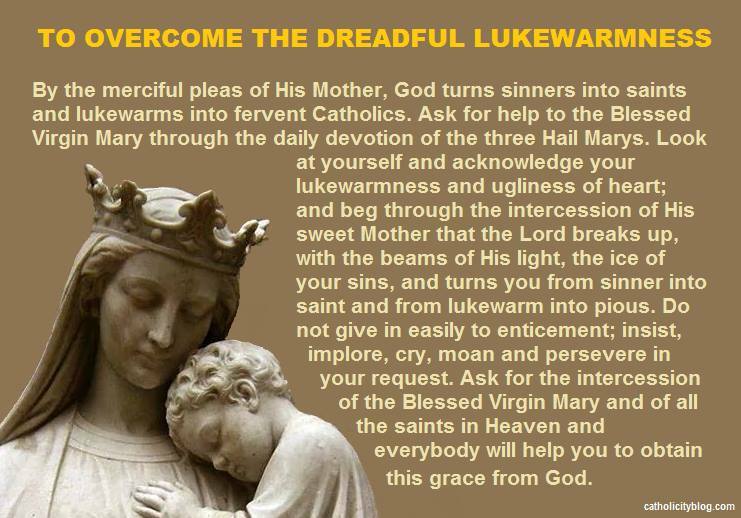 This promise extended for the benefit of whoever practices this daily devotion of the three Hail Marys. Our Lady promised Saint Matilda and other pious souls that those who recited the three Hail Marys daily would have her assistance during life and in the time of death. She explained that she would appear at the hour of death in a splendor so extraordinary that it will fill the soul with heavenly consolation and communicate to it the joys of Heaven. The foundation of this devotion is the Catholic belief that the mother of God possesses the God-given attributes of power, wisdom and mercy at the highest level possible for a creature. That is what the Church teaches when she calls Our Lady: Virgin Most Powerful, Mother of Mercy and Throne of Wisdom. Source of information: Blog CATOLICIDAD http://www.catolicidad.com/2010/05/devocion-de-las-tres-aves-marias.html Translated from Spanish by: Fabiola Lozano. 1) For individual requests as well as spiritual and material needs of each and every reader of CATHOLICITY. 2) To end the process of self-destruction in the Catholic Church. 3) To comply with the petition of Our Lady in Fatima: to ask that the Pope consecrates Russia to her Immaculate Heart (mentioning this nation explicitly in conjunction with the entire Episcopate of the world) and to pray for the conversion of the aforementioned country. 4) In reparation for our sins and for all the offenses Our Lord receives, especially for all the blasphemies uttered and sacrileges perpetrated. 5) For the conversion of sinners, particularly for those most in need of Divine mercy. 6) For increasing the number of priestly vocations and to ask that priests live a life of sanctity, reflecting the life of Christ. 7) For the triumph of the Immaculate Heart of Mary and the implantation of the Social Reign of Our Lord Jesus Christ within our nations. 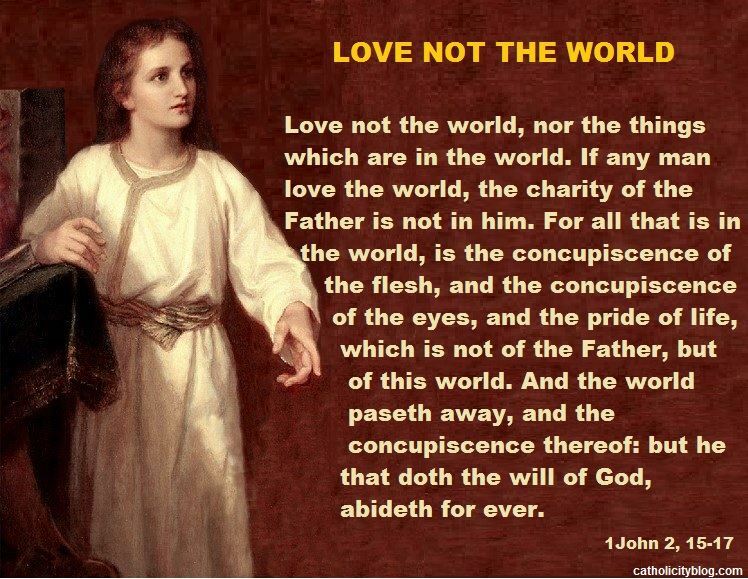 8) For achieving world peace, but not as the world gives it, but as Christ does. For the triumph of God in each country’s legislation, in particular to that of preserving all human life, including the unborn. 9) For the salvation of our souls, and the souls of relatives, friends and acquaintances. 10) For the needs of the Church. Lord, we ask You for the needs of the Church, for the consecration of Russia as requested in Fatima, for the triumph of the Immaculate Heart of Your most sweet Mother, for the implantation of Your Social Reign and Your peace in our nations, for the sanctity of the priests and for the increase of priestly vocations, as well as for the triumph of life and family in our countries’ legislation. We offer you our whole life in reparation for our own sins and for the offenses against your Most Sacred Name and for the grave sacrileges that are committed around the world. Lastly, we place in your hands, through the intercession of the Blessed Virgin Mary, all the spiritual and material needs of both ourselves as well as those of our relatives, friends, acquaintances and our fellow readers and staff of CATHOLICITY. - Immaculate Heart of Mary – Keep my family next to your heart. - Immaculate Heart of Mary – Be the salvation of my soul. - Blessed Virgin of Guadalupe – Save our country, preserve our faith and defend us from false shepherds. - St. Michael the Archangel – Defend us against the devil’s schemes. 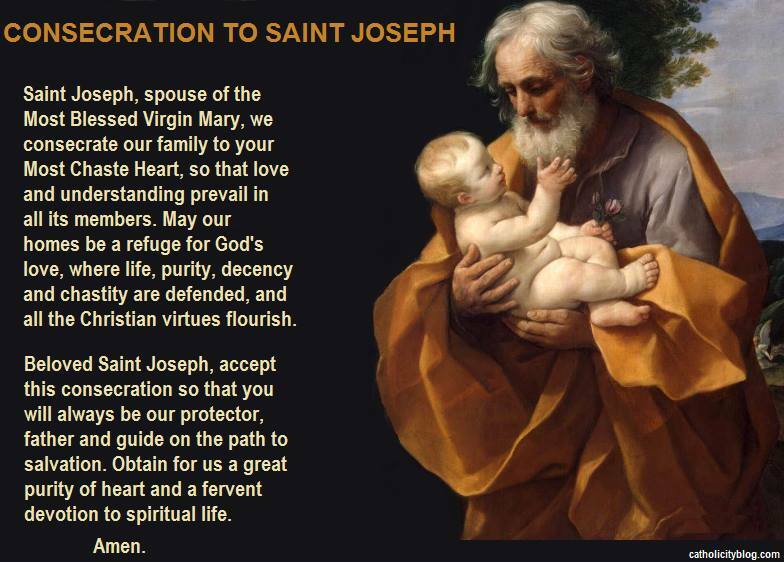 - Saint Pius V – Pray for us. We make this appeal due to the suggestion of one of our readers. We selected the 13th of every month due to it being the date of the apparitions of Fatima. We conclude with an invocation to St. Pius V (a great holy Pontiff), since he is the patron saint of this blog: due to Providence, though unbeknownst to us, we started this blog (the original, Mexican version) on St Pius V Feast Day. Every 13th of the month you will be given a reminder to say these prayers through our blog and by email, if subscribed. No doubt, God will bestow abundant graces upon all those who recite these prayers in association with our intentions. In addition, you will benefit from the common prayer of hundreds of people: in these 5 short minutes a month spent in prayer, we will succeed in uniting all readers, friends and staff of this Catholic blog in spirit. Of course, if there is anyone who wishes to pray for these intentions with greater frequency than once a month, they are welcome to. Reciting these prayers more often would be excellent, but it is completely optional. Source of information: Blog CATOLICIDAD http://www.catolicidad.com/2011/06/convocatoria-todos-nuestros-amigos.html Translated from Spanish by: Fabiola Lozano. The Pharisees, who had converted to Christianity and were of Jewish origin, argued that the Mosaic Law should be maintained (the Jewish law was a compendium of legal regulations that should not be confused with the Ten Commandments of God’s law, which summarize natural law). The Council of Jerusalem, headed by Saint Peter, determines that all gentiles converted to Christianity should not embrace the prescriptions of the Mosaic Law (however, they do have to adhere to the Commandments of God’s law, as these are of a natural law and were given by God Himself). As can be noted, the Council of Jerusalem defines that salvation comes from faith in Jesus Christ and not from the practice of the Jewish law that, as we have said earlier, should not be confused with God’s law established in the Ten Commandments, which must be observed to attain eternal salvation, for the Bible itself teaches that “Faith without work is dead” (James, chapter 2) (see note 1). Therefore, good deeds, in accordance with the natural law and summarized by divine revelation in the Ten Commandments, are necessary for Faith to be alive, and thus with the combination of faith and good deeds we can attain eternal salvation. However, the prescriptions of the Jewish Law are not necessary for salvation, as the Pharisees who had converted to Christianity erroneously argued. The first Council of the Church takes a stand against their opinion. In the same vein of the Council of Jerusalem, Saint Paul says: “For I, through the law, am dead to the law, that I may live to God.” (Ga. 2:19). The Jewish law is a PREPARATION that leads to Jesus Christ, who is the end of the law. Thanks to that same law, we were freed from it by the death of Christ: His merits are applied to us by the Grace, as if we were nailed to the cross with Him and dead to that Jewish law. Some time later, in Antioch, Saint Peter agrees, only IN PRACTICE, and maybe due to human prudence and in good faith, with the Judaizers (that is to say, those who advocated for keeping the Jewish law). This action contradicted what had been established by the Council of Jerusalem. In practice, he proceeded against the doctrine defined by the Church (included Saint Peter as a Pope). As doctrine prevails over practice, Saint Paul, who was Saint Peter’s subordinate, withstood him to the face for not following the way and truth of the Gospel. Saint Peter admitted his mistake and agreed with Saint Paul, acting with great humility and accepting that an inferior could not only depart from an erred action of his superior but even rebuke him; that is to refute his error out of love for the truth of the Gospel. Saint Paul reminds to Saint Peter that Christians are justified by faith in Jesus Christ and not by acting in accordance with the prescriptions of the Jewish law, as defined by the Council of Jerusalem. It is evident that Saint Paul is talking about the Jewish law (and not about the Ten Commandments). The latter is withheld by some conniving Protestants, who also suppress Saint James’ biblical passage about the necessity of both, good works and faith to be saved, and not only of faith, as it is proposed by the Protestant heresy, which also dishonestly quotes the previous text as though it referred to the Ten Commandments. In this manner, they deceive by suppressing the texts that do not suit them, and interpreting the other ones outside of their historical context. That is why the incident in Antioch must be necessarily related to what was defined by the Council of Jerusalem. What Saint Paul demands is the observance of the doctrine as defined in the mentioned Council. About this incident, Saint Thomas points out that Saint Paul’s confrontation was in regard to THE EXERCISE and not the authority of the power, and that Saint Peter was reprehensible due to his dissimulation and disordered fear, which led him to abandon the truth and follow the deceit of the faithful. He does not consider the cause of the rebuke to be something minor, but rather fair and convenient. If this had not been done, the knowledge of the truth of the Gospel would have been in danger, and had Gentiles been forced to keep the legal precepts of the Jewish law, this truth would have perished. Saint Thomas also notes that Saint Peter’s dissimulation constituted a danger to everyone and, for that reason, it was convenient for Saint Paul’s rebuke to be public and manifest. Let us not forget that whenever a Pope, complying with all the requirements necessary, defines a doctrine regarding faith or morals, is indeed infallible. 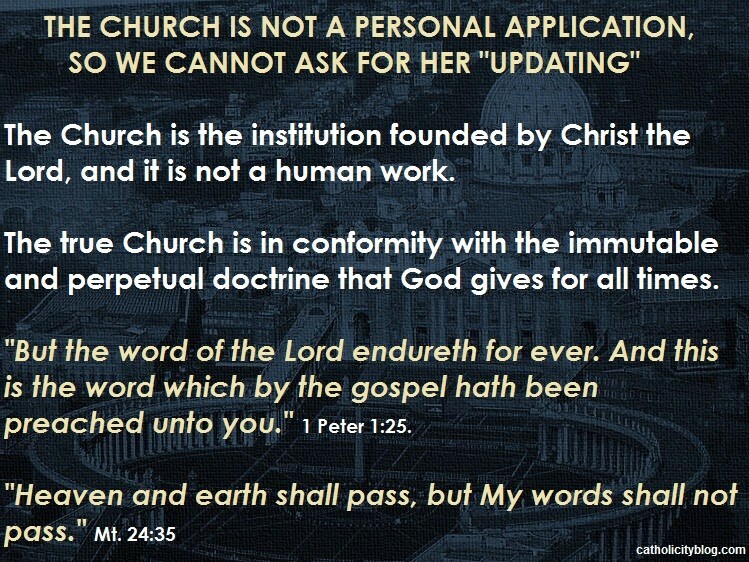 That is why pastoral matters are not infallible, but doctrines that have been defined by the Catholic Church are. If the former contradicts the latter, it should not be followed, as defined doctrine must always prevail. The main teaching about the incident in Antioch is the following: a doctrine that has been defined (which is the infallible and revealed truth) always prevails over acting against it, even if this was carried out by the most important person of the Church. The doctrine is superior to the practice. Finally, let us not forget that Saint Paul (inferior to the Pope) confronts Saint Peter (first Pope), but always with due respect and as a SUBORDINATE. The fact that Saint Paul was right did not entitle him to confront without respect the head of the Church. He does it publicly and face to face because Saint Peter’s error was public, but always with respect and acting as his SUBJECT. Moreover, Saint Paul’s rebuke was not to defend a personal opinion of his, but in defense of the truth of the Gospel. In this way, Saint Paul’s example sets a precedent and is always worth following in similar cases. The Word of God teaches that: “FAITH without WORK is dead” (James, chapter 2), and asserts that the devils, that are eternally condemned, “believe and tremble”, for Faith is not enough to be saved, both are necessary; faith and good works are essential for salvation. Source of information: Blog CATOLICIDAD http://www.catolicidad.com/2009/07/la-reprension-de-san-pablo-al-primer_10.html Translated from Spanish by: Fabiola Lozano. Source of information: Blog CATOLICIDAD http://www.catolicidad.com/2016/01/oracion-la-santisima-virgen-para-que.html Translated from Spanish by: Fabiola Lozano. 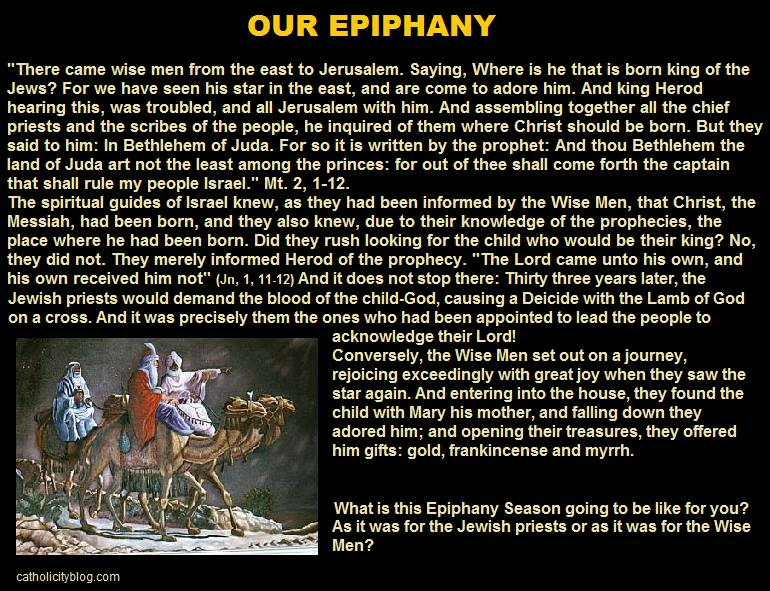 HOW OUR EPIPHANY IS GOING TO BE LIKE? Source of information: Blog CATOLICIDAD http://www.catolicidad.com/2016/01/nuestra-epifaniacomo-sera.html Translated from Spanish by: Fabiola Lozano. Source of information: Blog CATOLICIDAD http://www.catolicidad.com/2016/01/no-ameis-al-mundo.html Translated from Spanish by: Fabiola Lozano. GOD DOES NOT CHANGE HIS TEACHINGS NOR SURPRISES WITH DOCTRINES CONTRARY TO HIS IMMUTABLE TRUTH. Source of information: Blog CATOLICIDAD http://www.catolicidad.com/2016/01/los-pastores-que-modernicen-su-voz.html Translated from Spanish by: Fabiola Lozano. An Indulgence is a remission before God of the temporal punishment due to those sins in which the guilt related to that sin has been forgiven. The faithful Catholic who is duly disposed of this temporal remission gains it only under certain prescribed conditions defined by the Catholic Church. The Church, as the minister of redemption, dispenses and applies these Indulgences with full authority, having the treasury of the satisfactions of Christ and the saints. In the Sacrament of Baptism, not only is the guilt of sin remitted but also all penalties attached to those sins. In the Sacrament of Penance (Confession), the guilt of sin is removed as well as the eternal punishment due to mortal sin. However, Divine Justice necessitates that the temporal punishment remains with the requisite that it must be fulfilled either in the present life or in the world to come (i.e. in Purgatory). As previously stated, the Church has the power to carry out the remission of any temporal punishment. This power was bestowed on to the Church by Christ. Whenever the Church grants an Indulgence, she applies her treasure (the overabundant merits of Christ and the saints), for the remission of guilt. The Church is the administrator (not owner) of this treasure. She determines the amount and conditions for granting an Indulgence. She takes into account both God’s mercy and the requirements of Divine Justice. Indulgences are possible due the communal effect also witnessed in sin (all sins committed affect the Mystical Body of Christ). Salvation has a communal dimension, too, and this is why we can pray for each other. The merits of Christ and the saints benefit us all due to our souls being closely united to Him in His Mystical Body. To acquire an Indulgence, the sinner must comply with the requirements of a good confession, including completing the penance that the confessor imposes. Indulgences are extra-sacramental (i.e. not a sacrament) and it is necessary to receive the sacrament of penance first. As previously stated, Indulgences can only remove the punishment of sin, and not the guilt attached to it. In order to remove this guilt it is necessary to make a good confession. No Pope or Council has ever granted Indulgences the power to erase guilt, as only a sacramental Confession can do this. Pope Clement V (1305-1314) condemned the practice of providing Indulgences that intended to absolve the guilt and punishment of sin (a culpa et a poena). Indeed, in the Council of Constance (1418), Pope Clement I revoked all Indulgences containing the formula “a culpa et a poena” (session XLII, n.14). Many canonized saints have confirmed the doctrine of Indulgences. Recent examples include Pope St. Pius X and St. Padre Pio. - Having the intention of acquiring an Indulgence. - Performing the deed or saying the prescribed prayer. - Being in the state of grace. 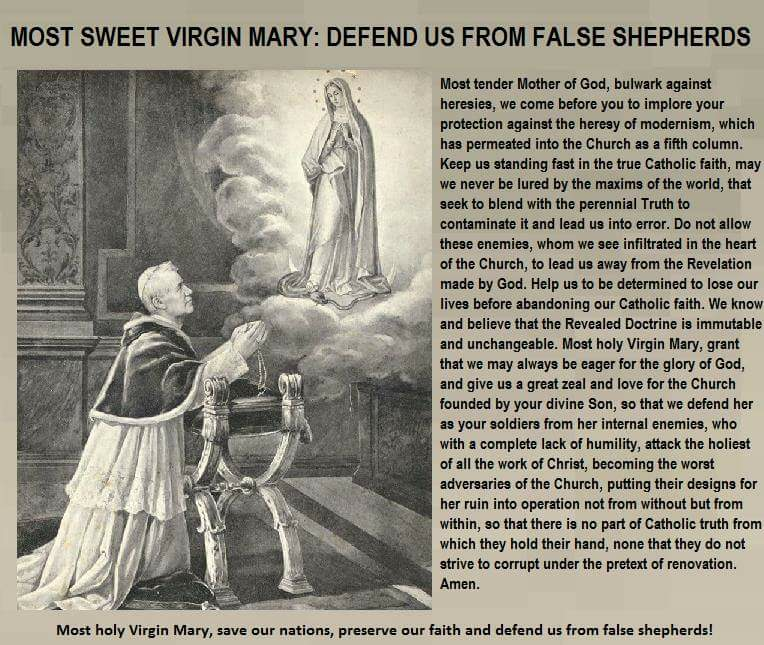 - Praying an Our Father, Hail Mary and Glory Be for the Pope’s intentions. - Having no attachment to sin (not even venial sins). - Visiting the site/observing that to which the Indulgence was granted. Moreover, though receiving Communion and praying for the Holy Father must be made on the same day the prayer or action takes place, Confession may be made eight days prior or after this occasion. 1. Having the intention of acquiring an Indulgence. Make a thorough confession either on the day or, as stated earlier, eight days prior or eight days after the event. Receive Communion on the same day in which one wishes to acquire the Indulgence. -The exaltation of The Holy Church. 5. Removal of affection towards EVERY kind of sin, even venial and having the intention of avoiding sin. a. Adoration of the Blessed Sacrament that lasts at least half an hour. b. Visiting a cemetery/praying for the faithful departed. This Indulgence can only be applied to the souls in Purgatory, from 1 November to 8 November. c. Adoration of the Cross, on Good Friday during liturgical celebration. d. In First Communions, to those who receive it and who attend them devotedly. e. Participants of spiritual exercises that lasts three days at least. f. Saying the Rosary in a Church or public oratory before the Blessed Sacrament, even if it is not exposed but reserved in the tabernacle, or to say it in family or in pious association. g. Reading the Holy Bible for at least half an hour. h. Praying the Way of the Cross in front of the stations, legitimately erected. Or any other deed disposed by the Church and in force. NOTE: The deed to be performed for obtaining a plenary Indulgence related to the visitation of a church or oratory consists in piously visiting these places and praying an Our Father and the Creed, unless otherwise stated. The reason for reciting the Our Father is to affirm the dignity, that we received in Baptism, of being God’s children, and the Creed (symbol of faith) is recited to affirm Catholic identity. Source of information: Blog CATOLICIDAD http://www.catolicidad.com/2009/09/como-ganar-indulgencias-y-en-que.html Translated from Spanish by: Fabiola Lozano.